Donald Trump is set Tuesday to reveal his first major budget proposal, and with it comes major cuts to Medicaid and changes to anti-poverty programs that would allow states to limit a range of benefits for needy families, something Congress has already been uneasy about. Trump’s plan follows through on a bill passed by House Republicans to cut more than $800 billion over 10 years from Medicaid, a state and federal program that provides health care to low-income Americans, the Washington Post reports. Doing so would cut off Medicaid benefits to about 10 million people over the next decade, according to an estimate made by the Congressional Budget Office. The plan would also allow more flexibility for states to set up work requirements for people in different anti-poverty programs, something that people familiar with the budget plan told the Post could lead to conservative governors making a flood of changes in their states. As it stands, most anti-poverty programs have elements that are run by both the state and the federal government, and a federal order allowing stiffer work requirements for “able-bodied Americans” could limit who can access anti-poverty programs and for how long. Trump’s decision to include the Medicaid cuts is significant because it shows he is rejecting calls from a number of Senate Republicans not to reverse the expansion of Medicaid that President Barack Obama achieved as part of the Affordable Care Act. The House has voted to cut the Medicaid funding, but Senate Republicans have signaled they are likely to start from scratch. 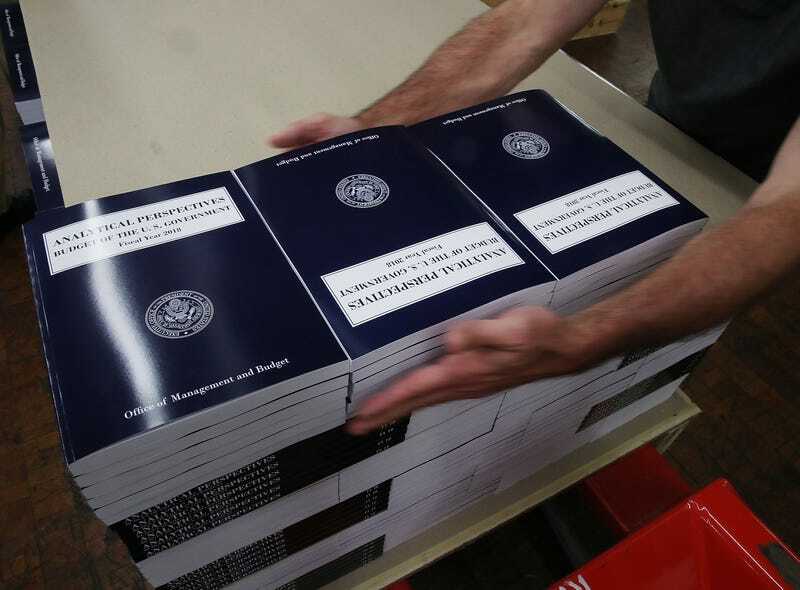 As the Post notes, this is Trump’s first comprehensive budget plan, and the first look at how he aims to change government spending and taxes over his presidency. Congress will have to approve most of the changes before they can be made law. Along with the cuts to Medicaid, the Supplemental Nutrition Assistance Program, or the food stamp/EBT program, is expected to be cut as well, but the Post did not have details on that. “This budget continues to reveal President Trump’s true colors: His populist campaign rhetoric was just a Trojan horse to execute long-held, hard-right policies that benefit the ultra wealthy at the expense of the middle class,” Schumer said. The proposed budget plan definitely demonstrates one thing: Your president hates poor people. There’s no way you can propose cuts to all these social programs and enable states to create work requirements, but not have a plan to address unemployment or create new jobs for the poor people you want to work just so they can keep the meager social benefits they are getting. To be fair, SNAP already has a work component embedded in it, and nobody’s getting rich off welfare. The meager amounts people get on Temporary Assistance for Needy Families or programs like General Relief or General Assistance (the welfare aid programs for adults without children) are not nearly enough to replace income that could be had from a job. General Assistance/General Relief only provides about $200-$300 a month, and recipients are required to report to those government offices multiple times a week to do job searches, etc. Also consider that even going to apply for these programs can be the most humiliating experience ever; it would seem that is intentional in order to discourage people from getting the help they need. And before all you grays and other naysayers jump in the comments to defend what Trump is doing, I said what I said.